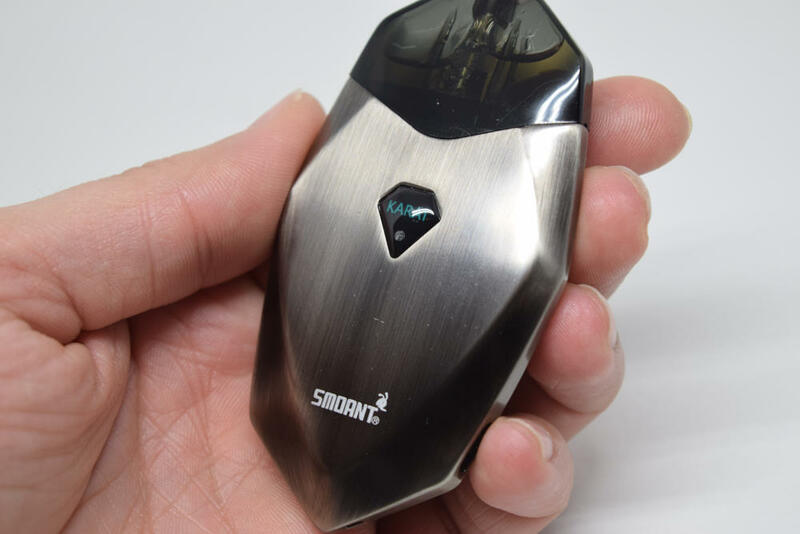 Get a great price on the Suorin Drop Pod System from Vapor DNA. 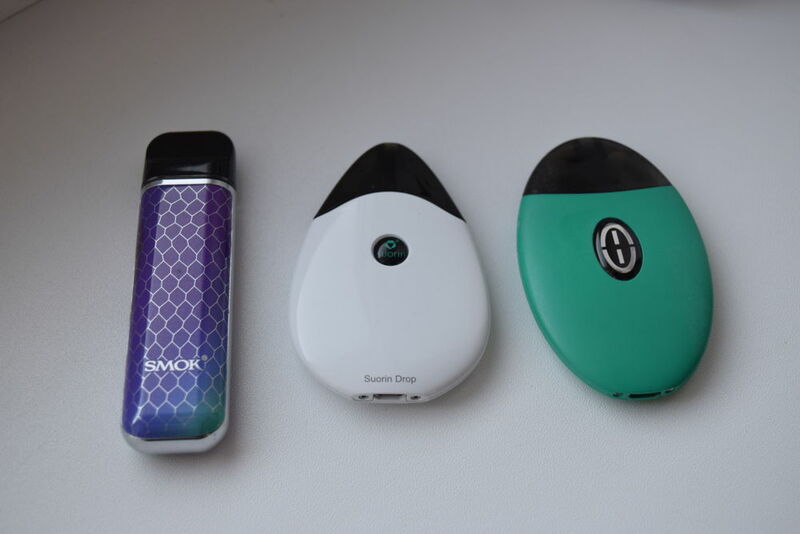 The Suorin Drop isn’t the newest vape pod on the market, in fact, it’s been out for about a year now, but it was the only Suorin device I hand’t yet reviewed, so I decided to give it a try and complete my collection. But don’t let its age fool you – a year is a pretty long time in the vaping industry – the Drop is actually a lot better than many newer vape pods out there. 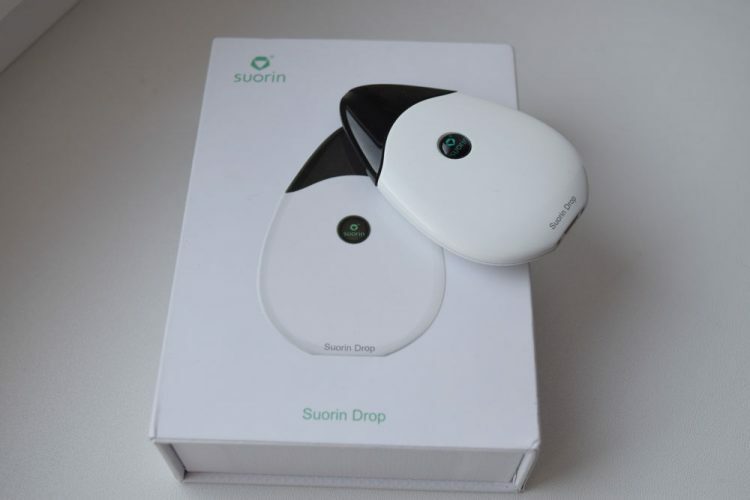 The Suorin Drop comes in an elegant magnetic flip top box featuring a life-size picture of the vape pod on the front, and a list of contents, information about the manufacturer and a scratch-and-check sticker, on the back. Inside the box, we have the Suorin Drop pod system sitting in a white plastic folder, and underneath that are two smaller boxes, one for the user manual and another for the micro-USB charging cable. Unfortunately, the kit does not come with a spare refillable pod, and that’s definitely a con in my book. I keep hoping that companies will start offering at least two pods with their starter kits, but some of them simply refuse to do it, for some reason. 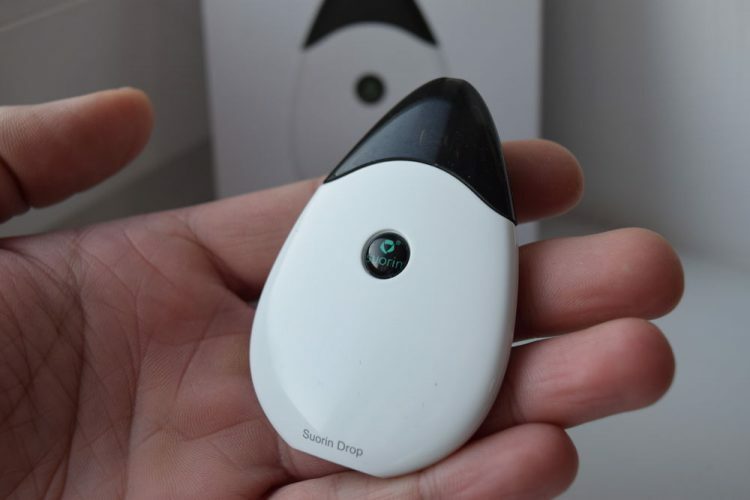 As the name suggests, the Suorin Drop resembles a drop of water, although I for one think it looks more like an oversized guitar pick. 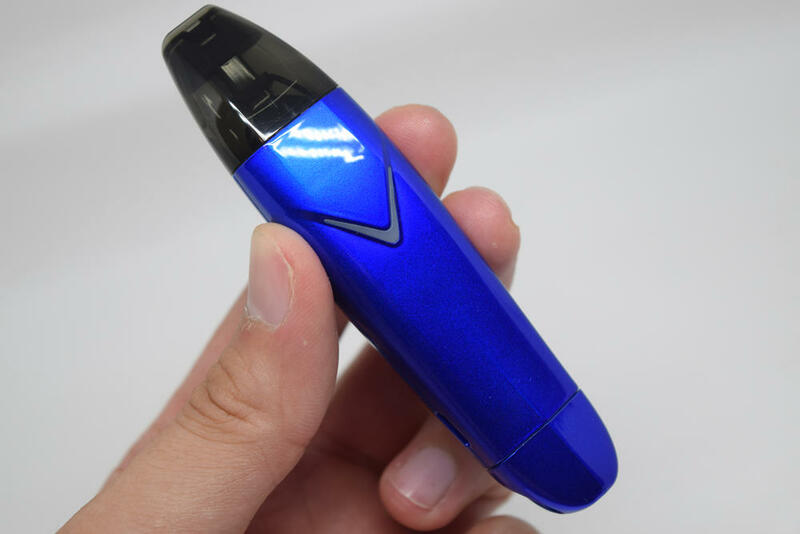 The metallic body, which houses the 310mAh battery and the draw-activated switch, is made of zinc alloy, while the refillable pods are made of slightly tinted plastic. The Drop measures just 73mm x 49mm x12mm, but is surprisingly heavy for its size. It’s not uncomfortably heavy by any means, I just didn’t expect it to have any real weight to it when I first saw it. Apart from the Suorin logo bead in the center of the vape pod and the micro-USB port on the bottom, there’s really nothing worth mentioning about the design of the Drop. That’s actually a pro for beginner vapers or smokers looking for an alternative, because they don’t have to worry about figuring things out. All you need to do to use this device is take out the pod, fill it with juice, put it back in and vape. There are no buttons, no batteries to replace and no settings to mess with. 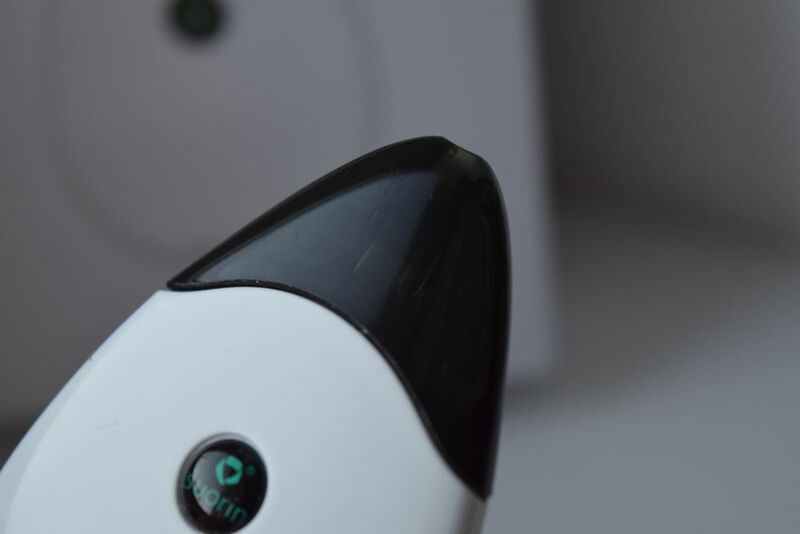 For this review I received the white version of the Suorin Drop, but as indicated on the inside of the box that it came in, this device is available in a variety of colors. One thing to keep in mind when buying this device is that not all colors have the same finish. For example the white, black and gunmetal ones have a glossy, reflective finish that it prone to fingerprint marks, while the other colors I’ve seen have a rubberized finish. On the white one, fingerprints are not really visible, so of you prefer the glossy finish but hate fingerprint marks, that’s the one you should go for. 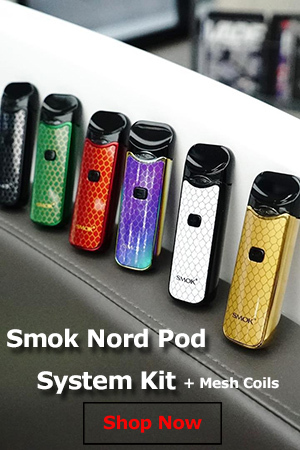 The Drop pods are very similar to those of the Mowell Shake and Smoant S8 pod systems, but they’re not actually compatible with those devices. 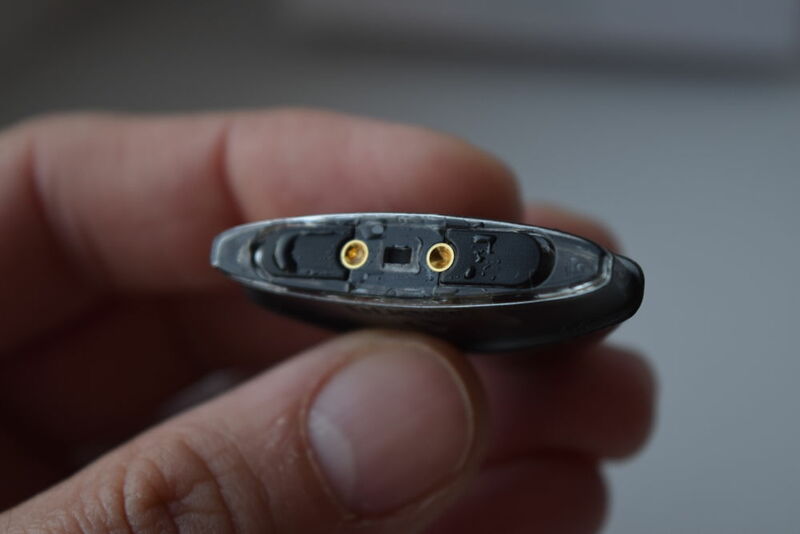 The pods have a maximum e-liquid capacity of 2ml, which is pretty decent for mouth-to-lung, low power vaping devices, and are split into two chambers. To fill the pods you have to remove the rubber plugs on the two fill ports on the bottom and pour juice through each of them. One thing I’ve noticed about the two chambers of these pods is that they seem to communicate with each other, so the juice doesn’t flow from one chamber to the other. That’s a bit of a con as well, as in my experience, the juice level in one of the chambers always seemed to drop faster, so I always had to keep an eye on the juice level to make sure that the cotton wick on that side didn’t dry up. Once you’re done filling the pod for the first time, wait for 5 – 10 minutes before vaping to allow the cotton to soak up the juice. If you vape right after pouring int the juice, you risk burning the dry cotton and getting a nasty taste in your mouth. Trust me, you don’t want that to be your first vaping experience. The Drop vape pod has the lowest battery capacity out of the entire Suorin lineup. 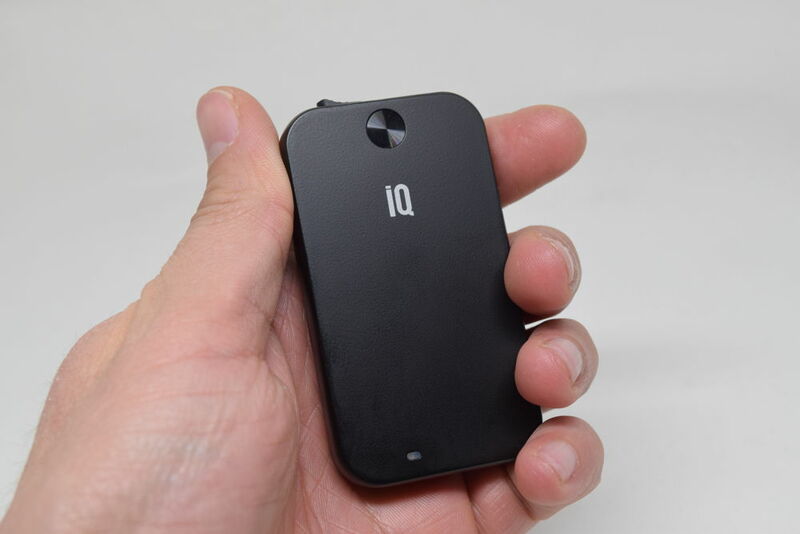 The Suorin Air is rated at 400mAh, while the Suorin Vagon has an official battery capacity of 430mAh. The built-in battery of the drop is rated at just 310mAh, but I for one did not see a considerable difference in battery life between these 3 devices. I’ve been getting about 5-6 hours out of it on average, which is not bad at all for such a small device, but it all depends on how much you vape. Plus, this was just my experience, yours may be different. One of the great things about the Suorin Drop is that you can also use it as a passthrough. All you have to do is hook it up to a power source with the included micro-USB cable, and you don’t need to worry about battery life. This is great for people who spend a lot of time in front of a laptop. The Drop features LED battery life indicators, but they’re not the most accurate. All you get is a blue light when the battery has between 100% and 30% power left, and a red light when the power drops below 30%. When the battery is fully charged, the blue light will link a few times, but it only does that if you try to vape on it while it is charging. I think they could have come up with a better battery indicator system, to be honest. In terms of performance, my experience with the Suorin Drop was ok, but not as good as I had hoped. When it worked, it actually delivered a very satisfying vape. The problem is that the draw-activated switch didn’t activate the battery 100% of the time. I would vape normally for a few hours, and then I would take another hit and nothing would happen. The blue light would turn on, but I couldn’t hear the coil inside the pod sizzling at all, and there was no vapor produced. I would try to take another hit and get the same result. Then if I took out the pod and put it back in, it would work. I’m not sure if it was the switch, or the metallic connectors on the bottom of the pod, but I’ve had this problem with the battery activation too many times to call it an accident. It was a real issue, but I can’t say for a fact that it’s a general problem with the Drop. It may have been just my unit. 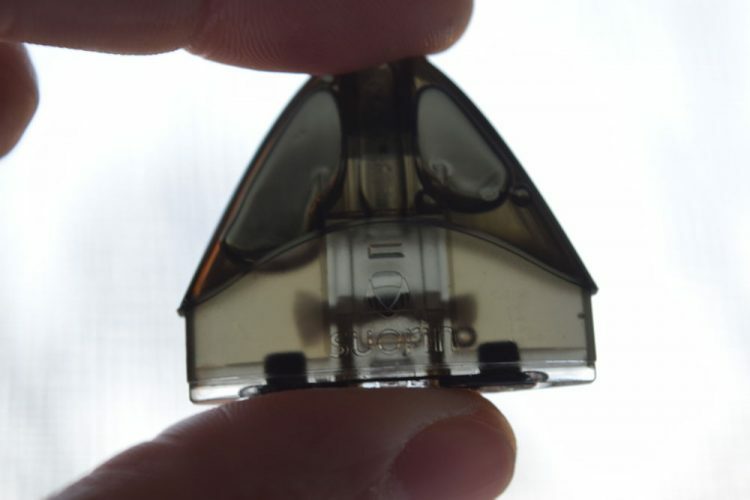 Another issue I noticed was the build-up of e-liquid on the bottom of the pod. If it was just condensation, it would have been fine, but this was definitely leaked e-liquid. It hasn’t caused any problems with the device yet, but there shouldn’t be that much e-liquid so close to the battery unit, which isn’t completely sealed to prevent juice from getting in. But, as I said, it’s not all bad. 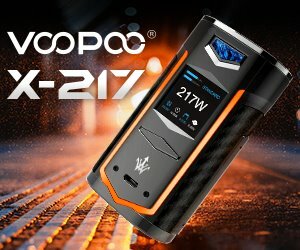 Even though it has a lower power output than Suorin’s newer pod systems – 13W compared to the Vagon’s 16W, for example – the Drop produces a satisfying vape and quite a bit of vapor as well. The draw is just as I like it, just tight enough to resemble the draw on a tobacco cigarette, but not too tight, and the mouthpiece has an ergonomic design which makes it comfortable to hold between your lips. E-liquid consumption was on par with similar vape pods, like the Smoant S8 or the Vladdin RE, and the flavor I got out of it was decent, which is about all you can ask for with this sort of vaping device. The Suorin Drop is one of the slickest, most attractive vape pods I’ve ever used, and despite its age (about a year), it can still hold its own against other newer pod systems. When it works, it produces a very satisfying vaping experience, plenty of vapor and good flavor, but the problem is that it doesn’t work all the time (at least my unit didn’t). If you like the design and don’t mind the occasional misfire, go ahead and buy the Drop, but if you’re looking for a more reliable pod system, I recommend taking a look at the Suorin Vagon instead. It’s a different design, but it has a bigger battery and I haven’t had any issues with it so far. I love the Suorin Drop! Smoked for 20 years. It is the easiest vape item I have used. I found very inexpensive refills on-line. It gives a very satisfying hit. Love it! Good at vaping and getting me a buzz. But it’s scary. The vape just fires when I’m not hitting it. The drop fires after I am down hitting it until I have to disconnect the pod from the rest of it. It doesn’t stop firing. To be honest it’s scary. The pod leaks and supposedly it’s known for that, which cause some of the firing unexpectedly. I went into the vape shop to ask why it keeps firing and he said saltnic juice doesn’t fit like a glove in the pod so it leaks. Kind of BS. Would recommend another saltnic product. My first suorin stopped firing before the 4 month mark. I bought a new one, it did the exact same thing less than 2 months in. 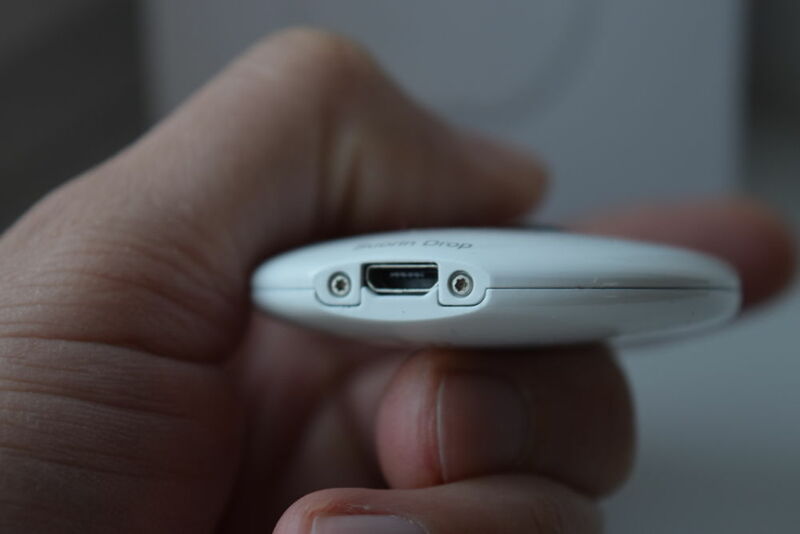 The device just will not fire, even though it is charged etc. Terrible. They do not respond when you try to get them to honor warranty. I would not recommend.